What do we want and what don't we want for Upper Broughton? As of the end of February 2019 the Neighbourhood Plan has now been submitted to Ruscliffe BC. Back in early October 2017 Survey Packs were distributed to every household in the parish to gather the views of local residents. Over 100 residents took the time to fill out the survey and the summary of the resutls can be found here. The results of the survey provide interesting reading and show a fairly predictable consensus. Traffic (on the road and in the air), lack of amenity, a desire to preserve views and green spaces along with the aspect of the village, concerns over development within the village and the desire for the future development of smaller properties all feature. Download a copy and please feel free to feedback your comments. 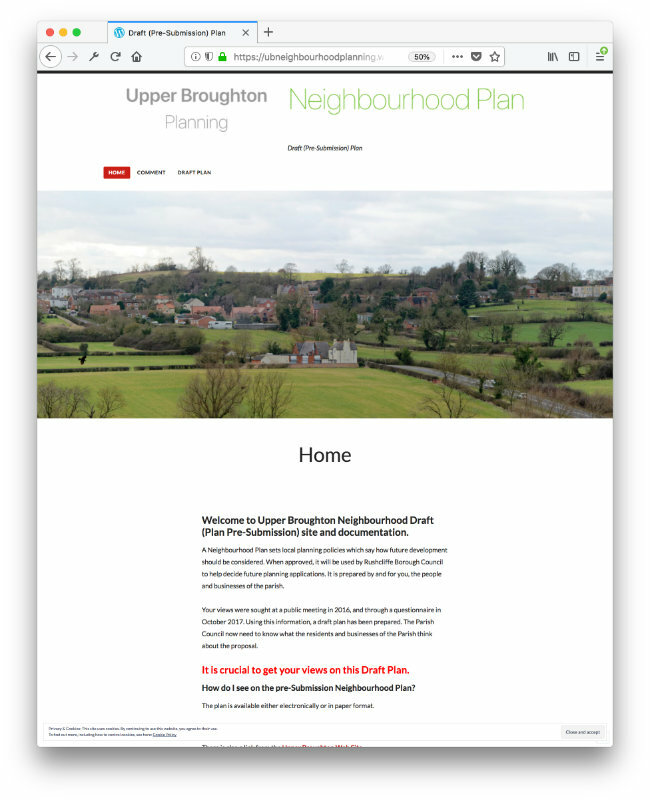 As of late February 2019 the Upper Broughton Neighbourhood Plan is now at the final stage and is online and open for everyone to see. The plan needs to be approved by Rushcliffe BC and then to be voted on in a local referendum. Your views were sought at a public meeting in 2016, and through a questionnaire in October 2017. Using this information, a draft plan has been prepared. The Parish Council now need to know what the residents and businesses of the Parish think about the proposal. Huge thanks have to go to all who’ve given of their time, expertise and myriad skills in getting our one small village’s plan over the line. Lots of meeting and many false finishes.